QuickBooks is the leading accounting software for small to midsized businesses. Although QuickBooks provides a user-friendly platform for managing your finances, getting the initial setup right is essential. As a Hampton Roads, VA CPA and Certified QuickBooks ProAdvisor®, Colonial CPA Group is exceptionally qualified to provide the assistance you need. We offer the QuickBooks services to help do-it-yourself business owners manage their day-to-day operations using accounting software packages like QuickBooks. Over the years, many Hampton Roads area businesses have contacted us to help them get started with QuickBooks, empower them to manage their bookkeeping and control their cash flow, while enabling them to work with a VA CPA firm in an advisory capacity. 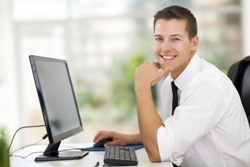 Accounting software programs like QuickBooks are ideally suited for small business owners. These programs have simplified the bookkeeping process for you. However, no accounting package can be operated properly without sufficient understanding of its features and functionality. It is a must for proper business management to complete the set up and installation properly. That's why we work with many of our clients to train them, assist them ongoing and provide immediate answers for trouble shooting. Your time is valuable and accounting software is not your specialty. That's why we provide training, oversight and ongoing support. Call us at 757-483-0006 to discuss your specific needs. We also provide a free inital consultation to new clients.